GatsbyLifestyle: Pocket square to show, handkerchief to blow. 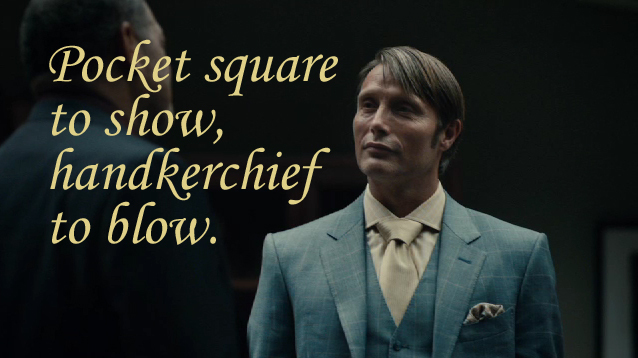 Pocket square to show, handkerchief to blow. 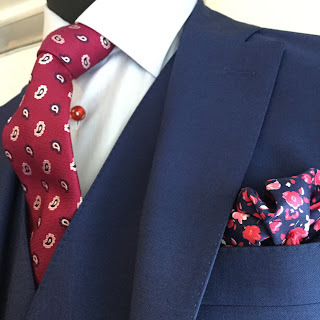 I am thrilled with my new three piece made to measure suit and to celebrate I have decided to treat myself by embellishing it with a new pocket square. But now I haven't a clue how best to arrange it. Any advice? 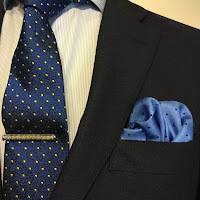 A pocket square should complement your tie or shirt, although never directly match it. Since your pocket square is situated so close to your tie and often rendered in the same material, it’s tempting to make both your tie and pocket square match. Easy, right? 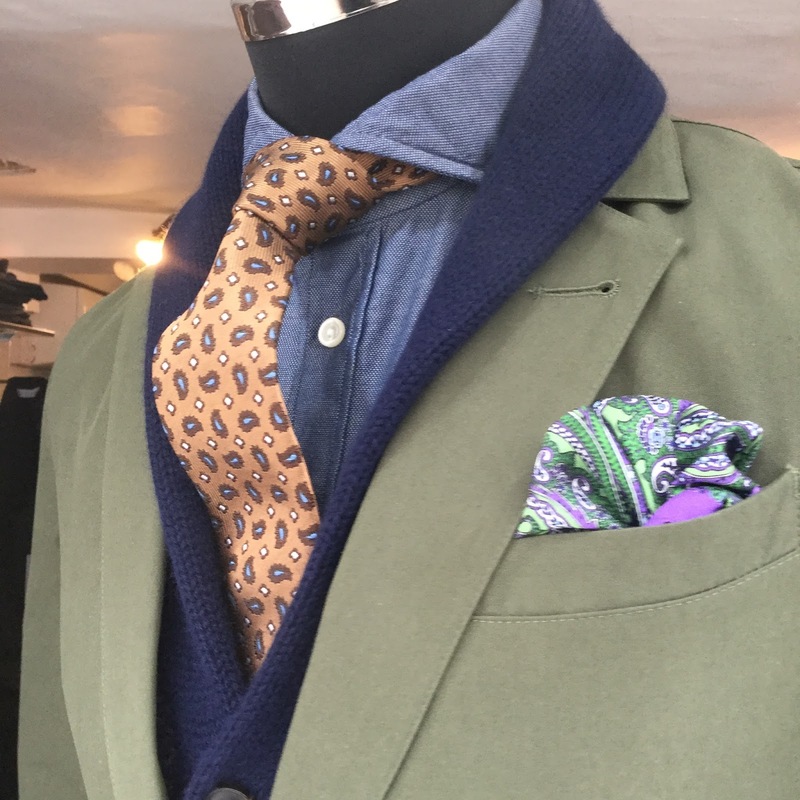 The advice we would give to Mr Robson (Hannibal above) and all of our customers is no outfit should be too "matchy-matchy. We are often asked for the equivalent of a twin set (what a horrid thought). 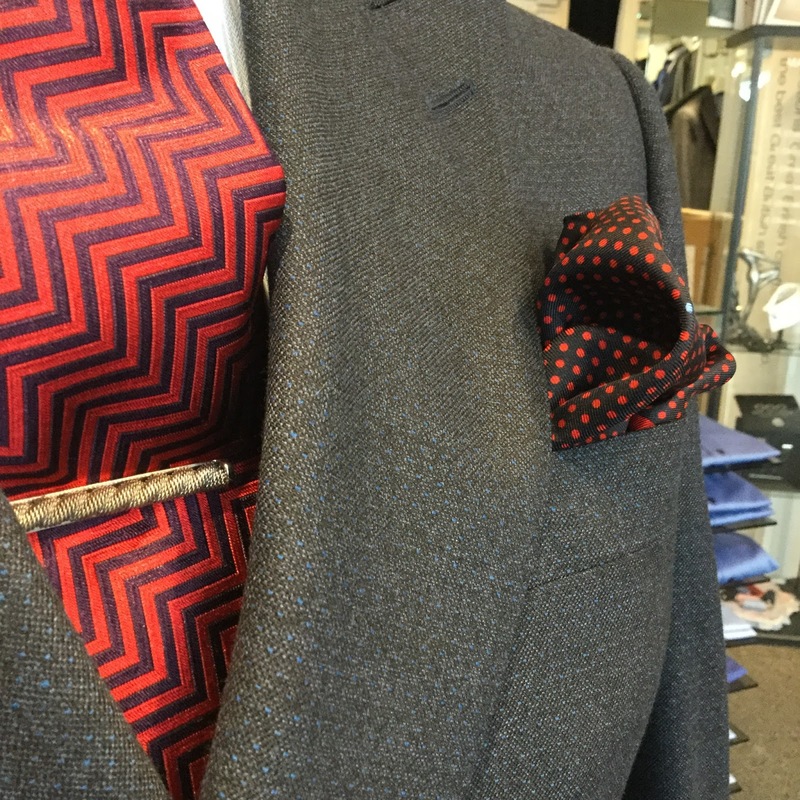 Instead, use a pocket square as an opportunity to show a little flair with a brave pattern or a pop of colour. If you match your colour in your shirt or jacket it should be a minor colour (such as the stripe). If in doubt and you want to play it safe stick with a simple mico pattern: but we say throw caution to the wind and go for a big bold pattern. 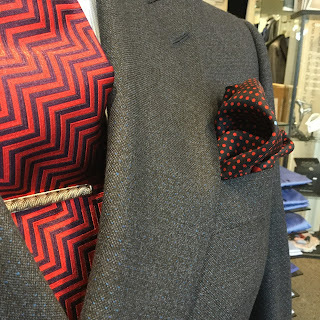 If you really want to push it, let your pocket square make a colour or pattern statement and wear it with confidence. You are guaranteed to turn heads, in a good way. By nature, pocket squares are something of an extraneous detail, so the brave should just feel free to have fun and run with it. But whatever you choose and however you wear it remember the old Irish adage: "Always carry a pocket square to show, and a handkerchief to blow".